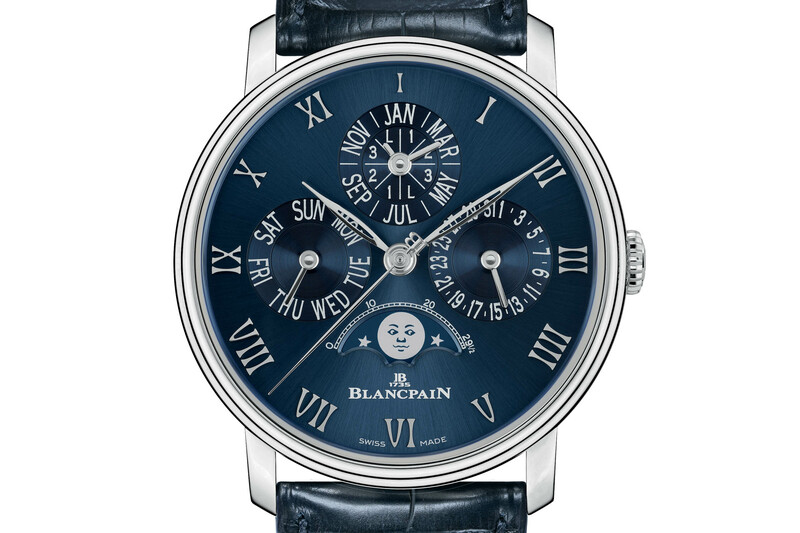 Blue dial and platinum case for Blancpain's classic yet elegant QP. 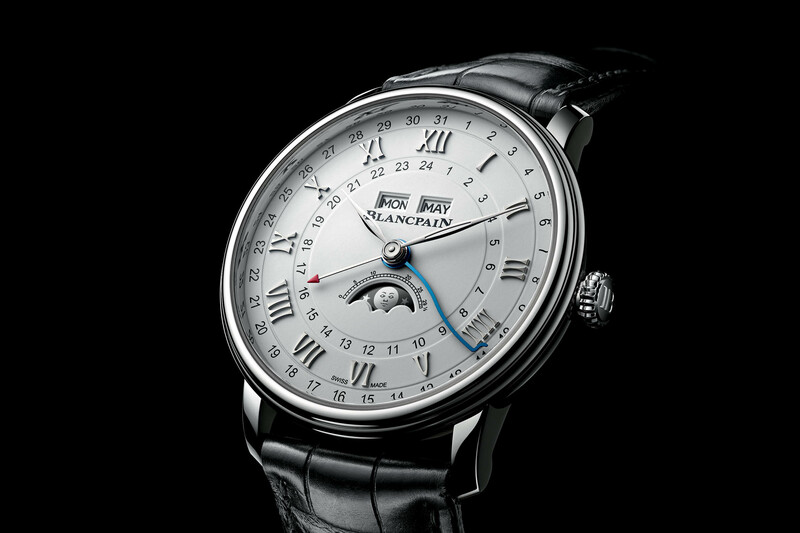 Classicism, elegance and traditional design are the keywords when it comes to Blancpain’s Villeret collection. Mostly available with gold cases (white or red) and featuring white dials, these watches are the best example of the understated dress watch. However, for some, it might lack a certain audacity in its design. 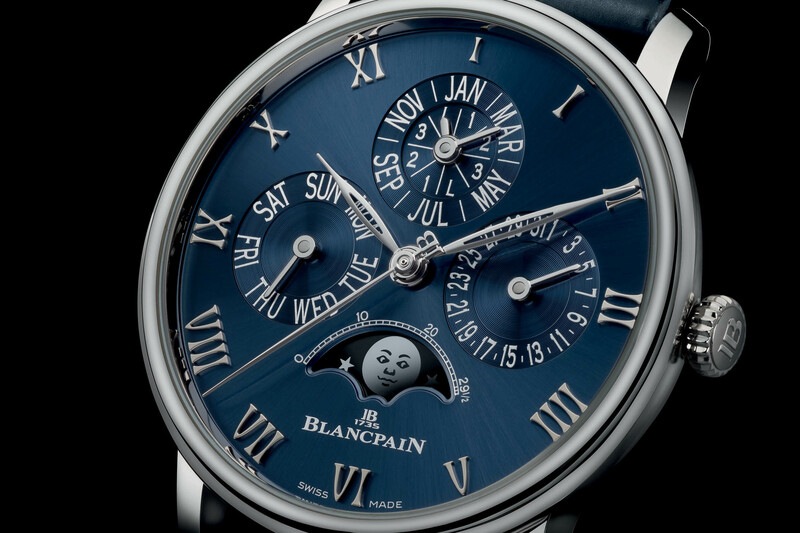 Without going to extremes, Blancpain unveils a slightly more daring version of its Villeret Quantieme Perpetuel, a boutique exclusive in platinum with an attractive blue colour scheme. Stating that the Villeret collection is understated and traditional does not degrade the products. Even the brand describes the Villeret as “the most classical of the collections” on its website. If you take, for instance, the Villeret Quantieme Complet GMT, the Villeret Grande Date Jour Retrograde or the Villeret Quantieme Perpetuel 6656, you’ll see that classicism and understatement aren’t bad things. The Villeret Quantieme Perpetuel 6656 was used as a base to create this limited edition of 88 pieces, which is only available at official Blancpain boutiques. 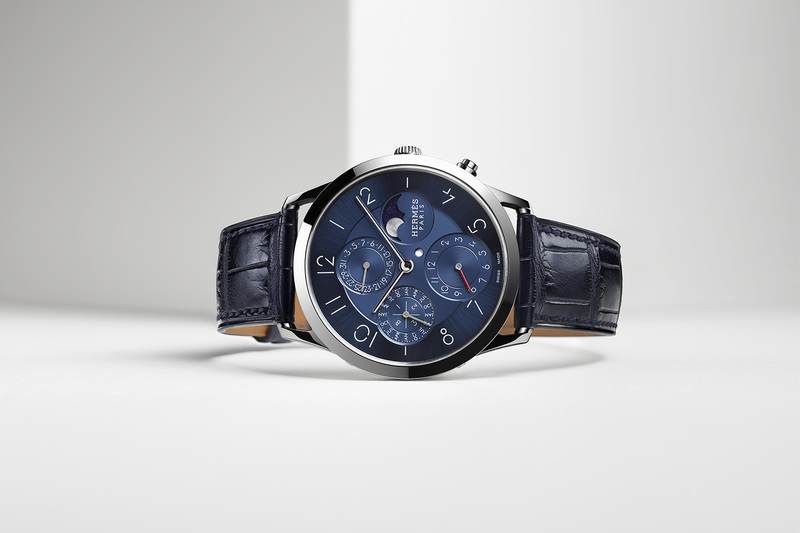 Introducing the new Villeret Perpetual Calendar in platinum with a blue dial. As we explained in our extensive review of this watch, in its steel and red gold versions, the Villeret Quantieme Perpetuel 6656 is a slightly more modern take on the perpetual calendar. 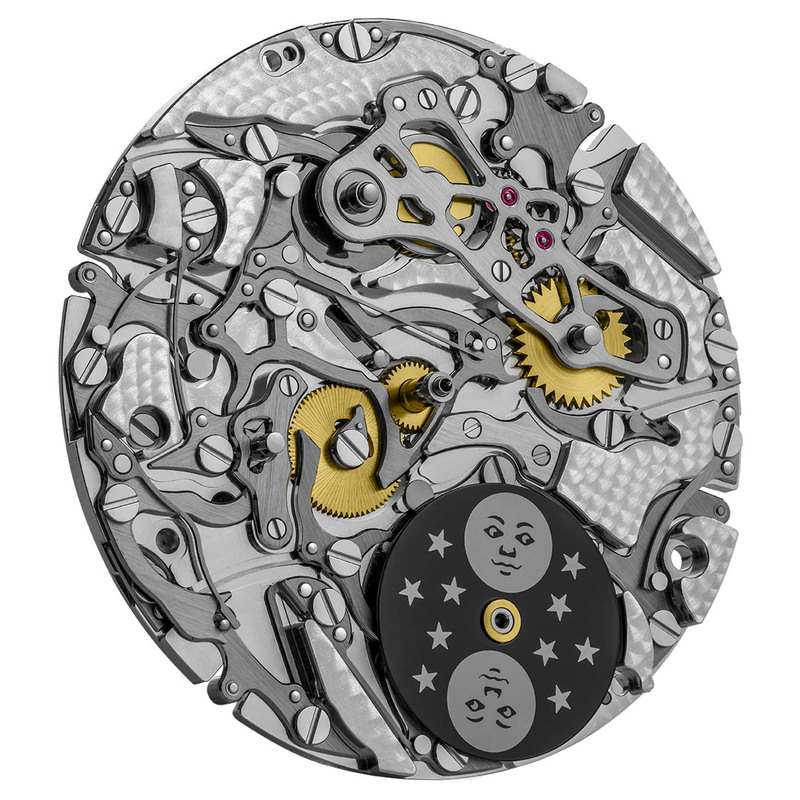 There are indeed three QPs in the Villeret collection. First is the high-end, 8-day power reserve model with a 42mm case (ref. 6659). Then there is the ultra-classical, 38mm model which is only available in one version (ref. 6057). Finally, there’s the intermediate, core model with a 40mm case, sleek dial and upgraded automatic movement (the present ref. 6656). Even though this watch was recently introduced and offers a slightly more contemporary design, it remains truly classical in its execution – and the new Platinum version we’re looking at today is no exception to the rule. The 40mm is crafted in solid, 950 platinum with a fully polished finish. The bezel retains its double-stepped profile (emblematic to this collection) as well as slim, short and curved lugs. Even if it is a complex watch, the Villeret Quantieme Perpetuel 6656 is slim, with a reasonable 10.70mm height. 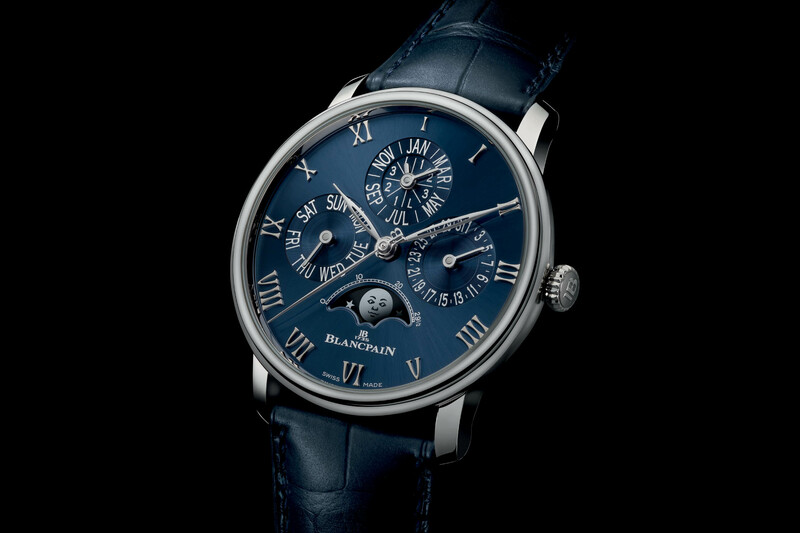 The dial of this boutique exclusive limited edition is the main update and is offered for the first time in a sunray-brushed, deep blue version. The contrast between the blue dial and the cold tone of the platinum case is always a winning combination. 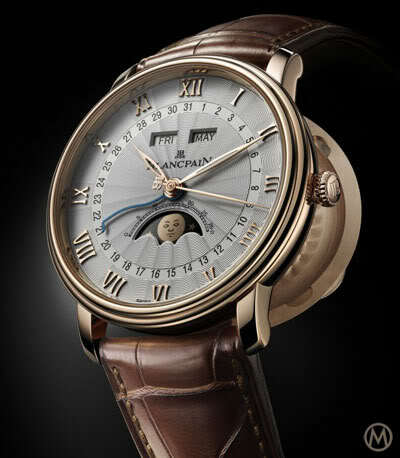 The same goes for the applied Roman numerals and the hands, all executed in rhodium-plated metal. The moon indication follows the same colour scheme. The display of the perpetual calendar is highly traditional, with the day at 9 o’clock, the date at 3 o’clock, the moon at 6 o’clock and a combination of month and leap year indications at 12 o’clock. Overall, elegant and classical. 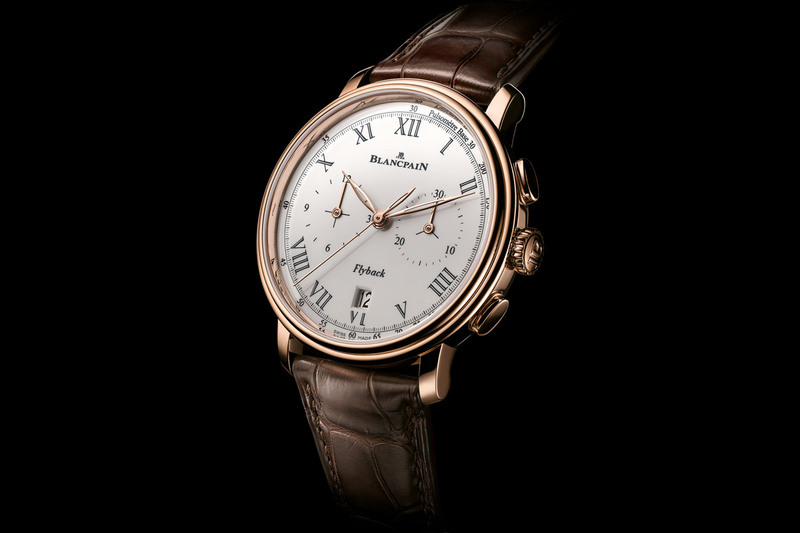 As often with Blancpain, the Villeret Quantieme Perpetuel relies on the clever under-lug correctors, allowing for a clean case without recessed correctors. The watch is worn on a blue alligator leather strap with a platinum folding clasp. Powering the Villeret Quantieme Perpetuel Platinum is the same movement as the other versions, meaning the in-house calibre 5954, an automatic movement with a 3-day power reserve and a silicon hairspring. It is finely decorated, including a solid gold oscillating weight adorned with a honeycomb pattern. 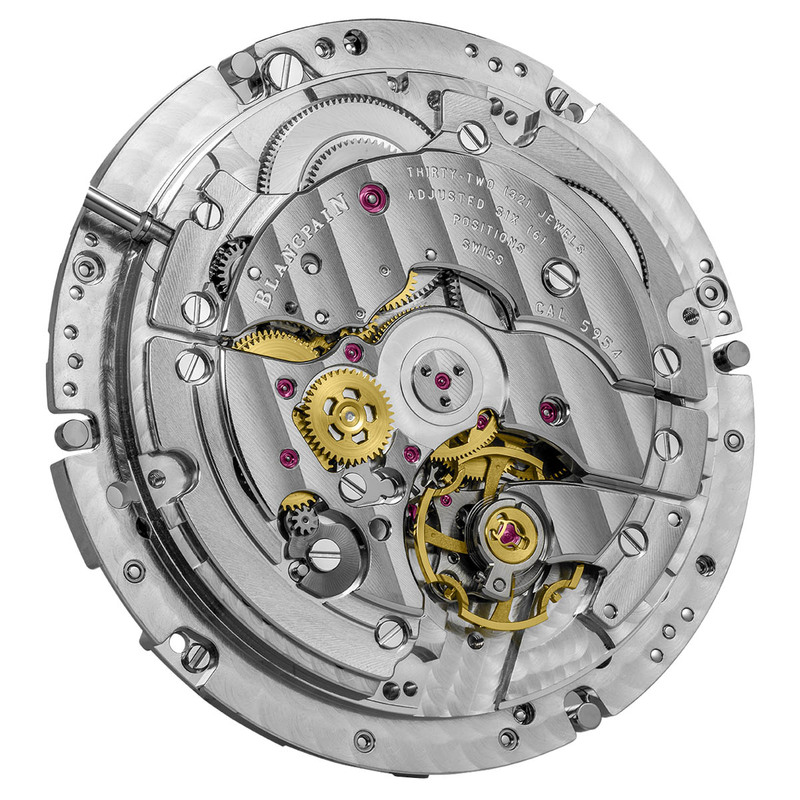 The perpetual calendar is also secured against any potential damage – when adjusting the QP mechanism in the middle of the date switch, for instance. 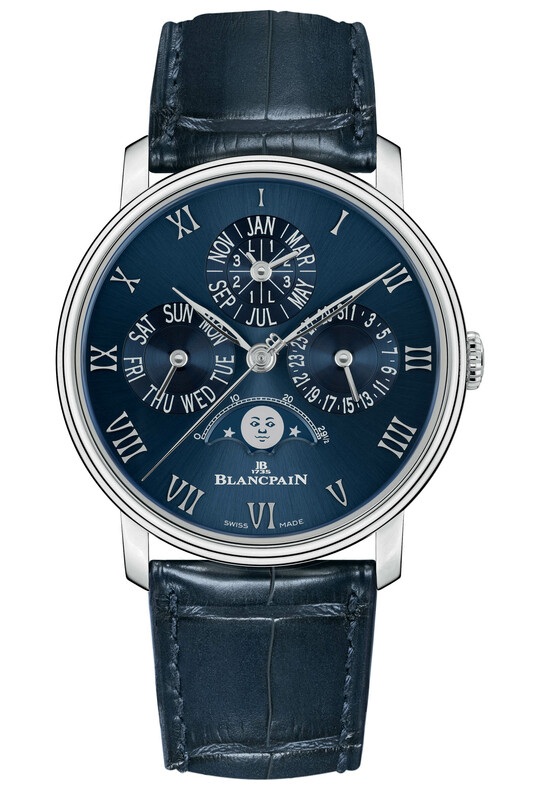 The Blancpain Villeret Quantieme Perpetuel Boutique Exclusive Platinum/Blue dial will be limited to 88 pieces, available exclusively from the brand’s boutiques, at a price of CHF 62,000 (versus CHF 42,000 in red gold). 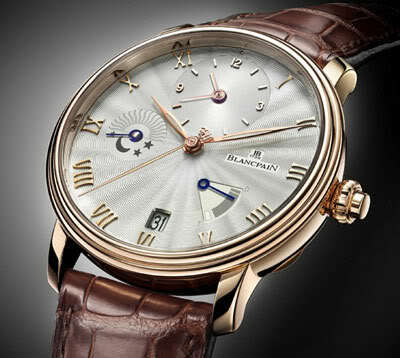 More details at www.blancpain.com. The 6057 is still my favourite of their QPs, but this follows closely in second place.